Dr. Jessica is an experienced, board-certified pediatric dentist with years of experience in private practice and as an attending dentist at a local children’s hospital. She and her team will partner with you and your children to ensure the dentist's office is a friendly and soothing environment and to help your children develop positive oral-health practices. 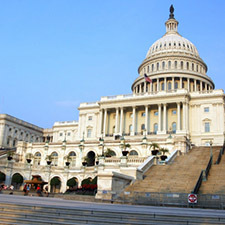 Located in Northwest Washington DC, Capital Kids Dentistry is easily accessible from DC, Northern Virginia and Maryland. 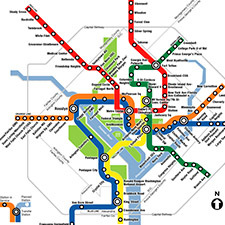 Near many of DC’s major residential neighborhoods, we provide validated parking and are reachable via public transportation, including bus, with a stop on the corner, and metro, within in a short walk. Dr. Jessica was born in DC, grew up in the suburbs, and is now raising her family in the District! She is committed to this community and, as a working mother, appreciates the importance of making life easier for parents by providing your children high-quality care in a timely fashion. 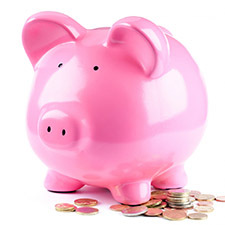 Dental Care must also be affordable – we are committed to accepting major insurances. Additionally, Dr. Jessica is committed to preventive care to stop problems before they arise and, if they do occur, treat them early to avoid more significant needs. 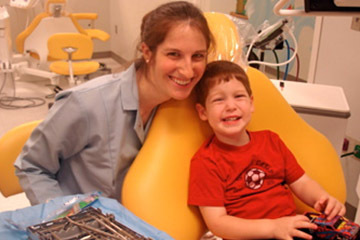 A graduate of the University of Maryland Dental School, Dr. Jessica Rubin completed residencies in general dentistry and pediatric dentistry before entering private practice. 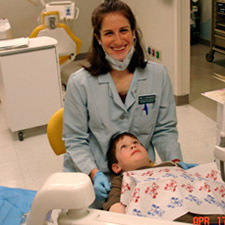 She is a Board Certified Pediatric Dentist, has 10 years of experience, and has served as an attending dentist at the Childrens National Medical Center. Dr. Jessica is a working mother, who lives in the District with her husband and two young children. She knows how much you care about your child’s dental health, and she knows how hard it can be to find time in your busy schedule to visit the dentist. 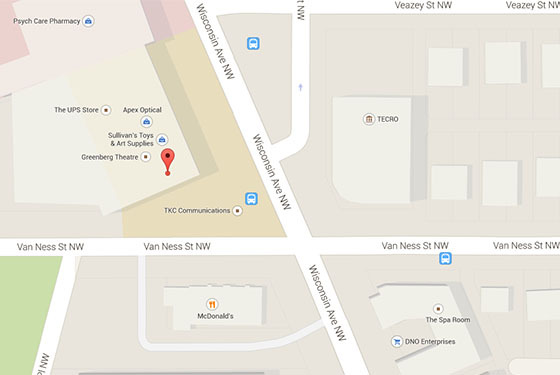 That’s why Dr. Jessica made sure her friendly, inviting office is conveniently located in the heart of DC, easily accessed by car, bus or metro, near many schools and pediatricians’ offices. She’s passionate about making every visit to the dentist a positive one for both parent and child. Make an appointment with Dr. Jessica for your child today and get them started on the path to a life of great dental care! SERVING DC, MARYLAND AND NORTHERN VIRGINIA, INCLUDING ADAMS MORGAN, ARLINGTON, BETHESDA, BROOKLAND, CAPITOL HILL, CATHEDRAL HEIGHTS, COLUMBIA HEIGHTS, CHEVY CHASE, CLEVELAND PARK, DUPONT CIRCLE, FOXHALL, FRIENDSHIP HEIGHTS, GEORGETOWN, GLOVER PARK, KALORAMA, MT. PLEASANT, PALISADES, SHEPHERD PARK, SPRING VALLEY, TAKOMA PARK, TENLEYTOWN, WEST END, WOODLEY PARK, AND MORE!